Meet in front of the Main Reception Depart at 7pm Return: before 22.00 hours Total walk length: 7 km ( circa 4.5 miles) Terrain: suitable for wearing trainers Refreshments at the end of the walk. Join us for the first ever Cranfield University’s Halloween walk on Monday evening. After a short journey to Cranfield village where the walk will start, we will continue along the Forest of Marston Vale to the neighbouring village of Marston Moretaine; ending there by the 15th century church of St Mary. 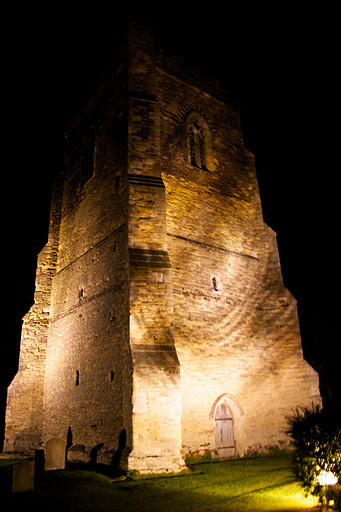 This is a beautiful ancient church with an unusual detached tower that perhaps served once as a watchtower, or a place of refuge. This entry was posted in Blog, Walks and tagged 31 October, All Hallows Eve, Bedfordshire, Cranfield village, evening walk, Halloween, walk. 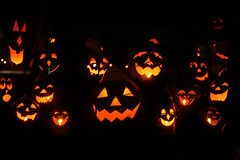 Twenty of us attended the first ever evening walk organised at Cranfield University on Hallow Eve. We started at Wood End Rd at Cranfield village and walked on the 51 cycle route to Marston Moretaine. The weather was perfect; not too windy, not too cold. After arriving at St Mary’s church, we moved to The Bell pub for some tea and special Halloween cakes, prepared by Angela from Lodge Farm, North Crawley. Many thanks to Andrew Potter, staff member from School of Applied Sciences, who came up with an idea for this walk and who also shared with us some colourful local folklore stories.